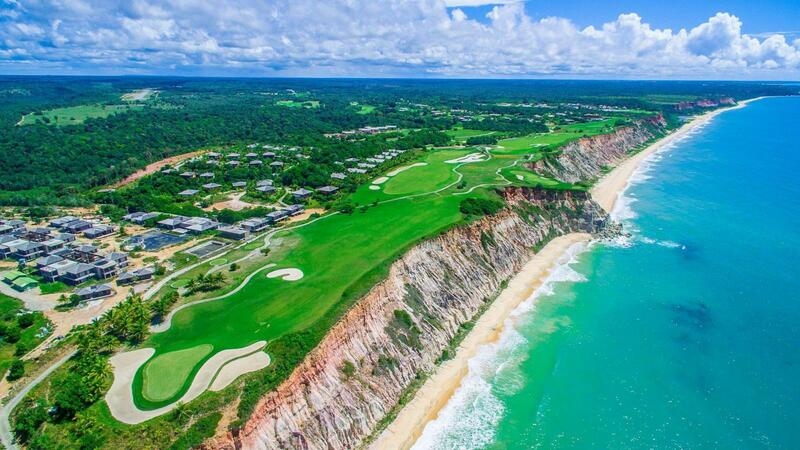 Terravista Golf Course is located on the cliffs of Trancoso, in the south of Bahia, next to some of the most beautiful beaches in Brazil. 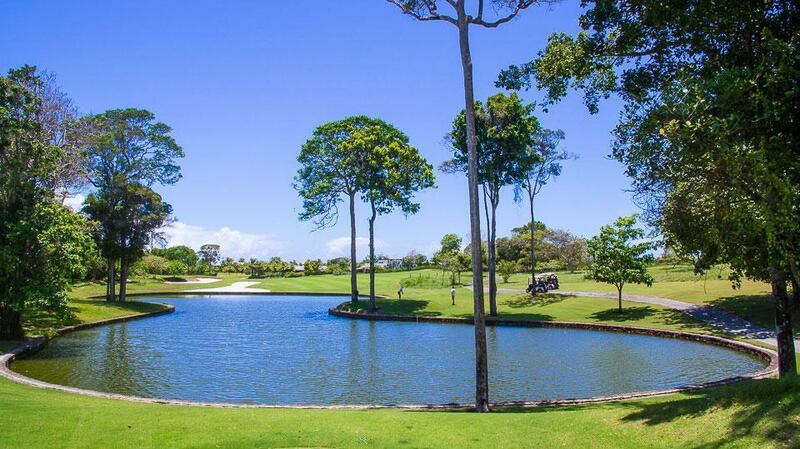 This superlative venture combines the natural beauty and pleasant climate of the region, contours ideal for a golf course, modern design and construction techniques, a sophisticated irrigation and drainage system and latest generation maintenance equipment. 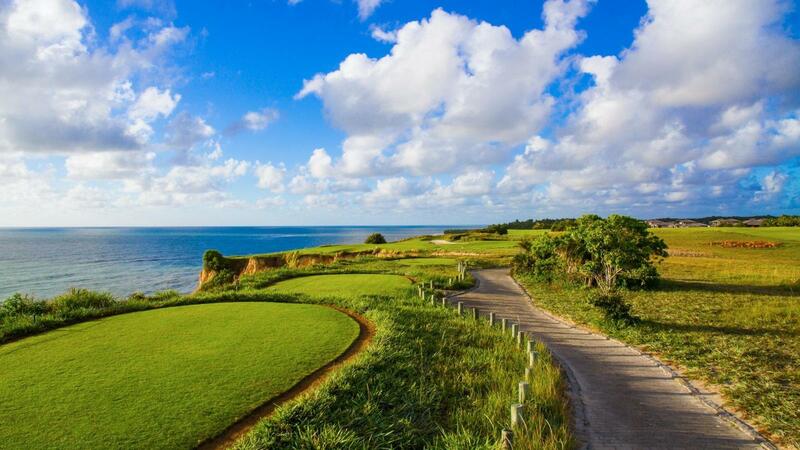 This unique course is a par 72 and has 18 holes with 6. 2 miles of paved cart path. 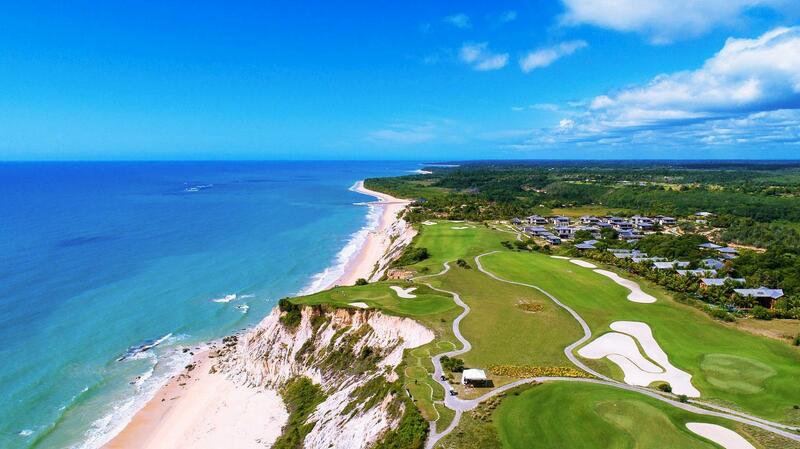 It enables players of different skills to play on a magnificent landscape enjoying both the breeze of the ocean and the sounds of the Atlantic Forest. 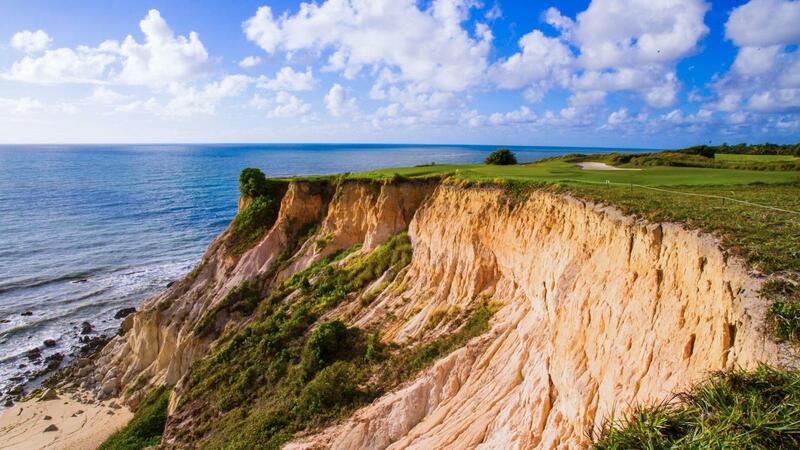 The “signature hole” of the course is the 14th, a par 3 with 216 yards along the seashore that requires a precise shot over the cliffs 40 meters above the beach. 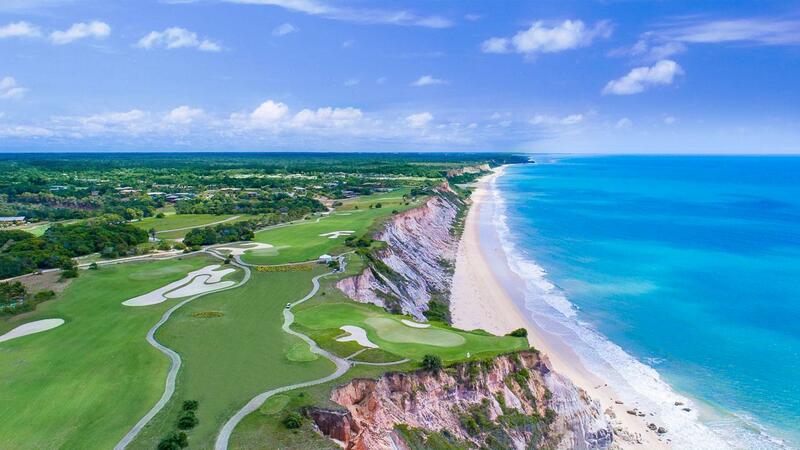 This hole has already become part of the dreams of many golfers that have visited Terravista and is undeniably the most commented and photographed in the country. 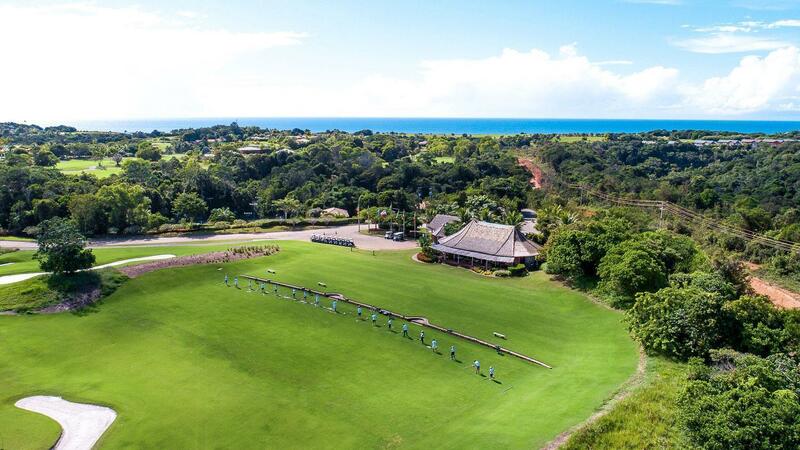 The Terravista Golf Course won the annual World Golf Awards of 2016 and 2017 as Brazil’s Best Golf Course.